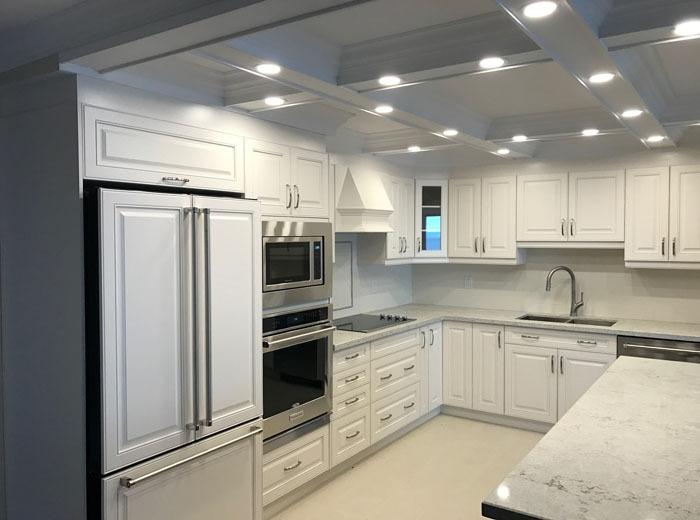 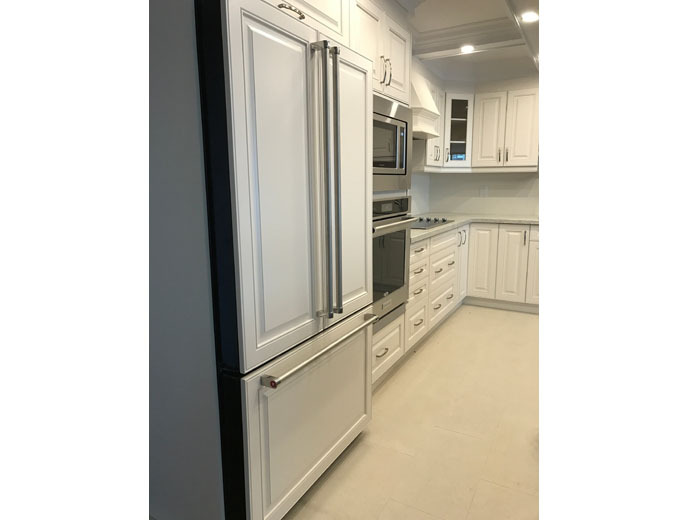 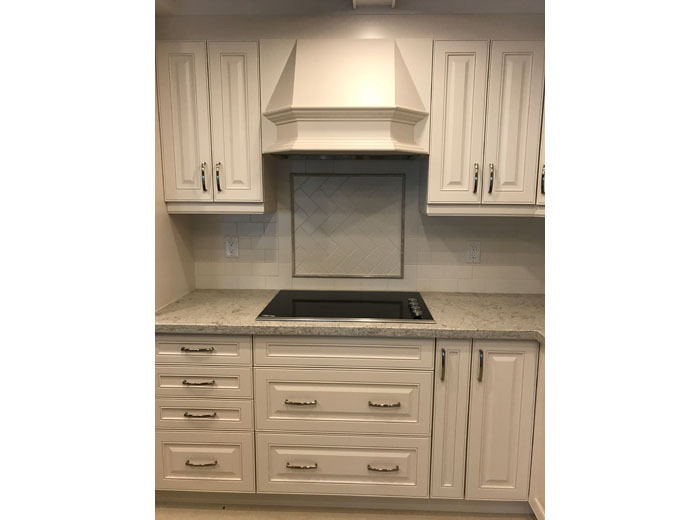 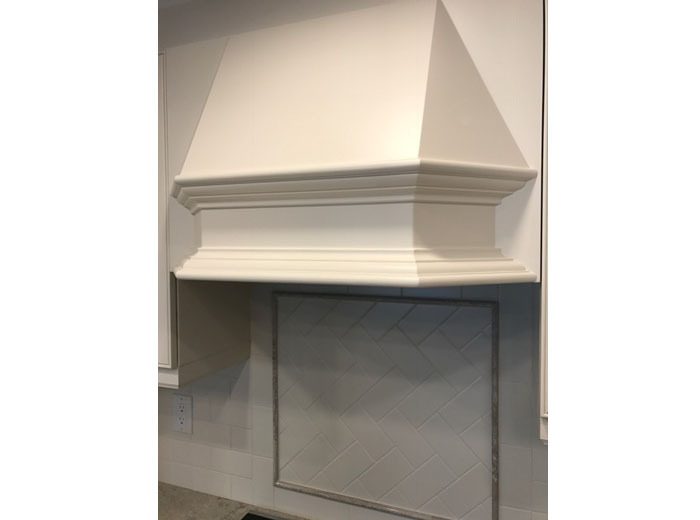 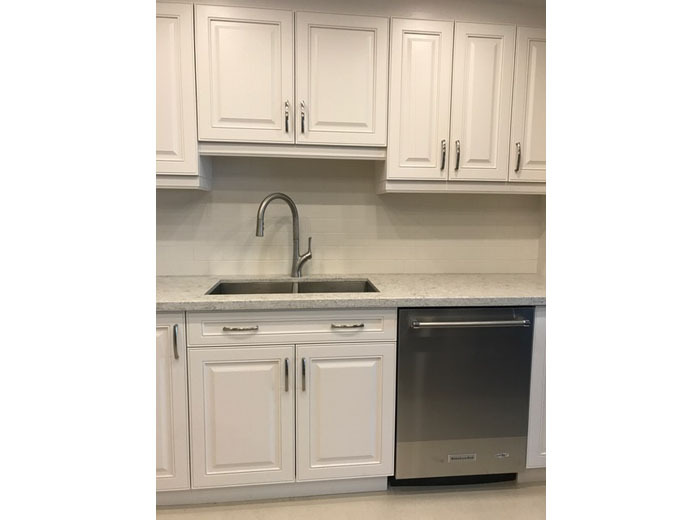 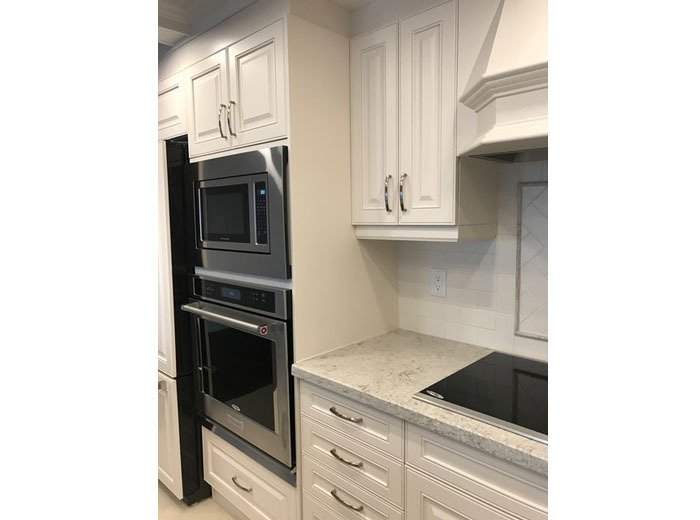 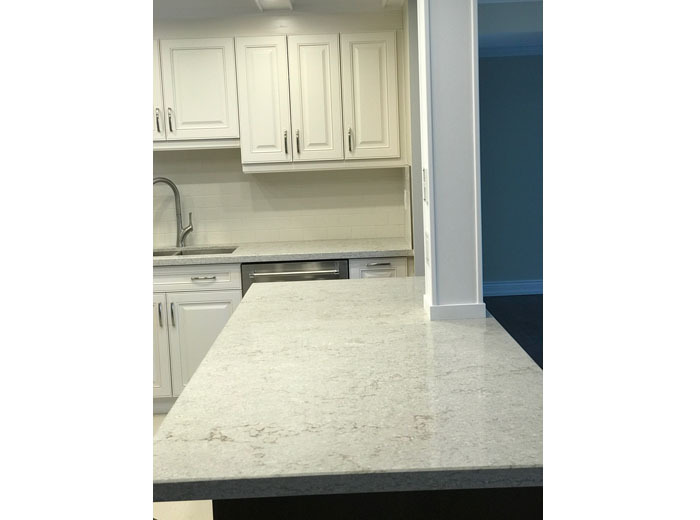 This full kitchen renovation features cabinets made with solid maple wood painted in white along with beveled edge quartz countertops in calacata white. 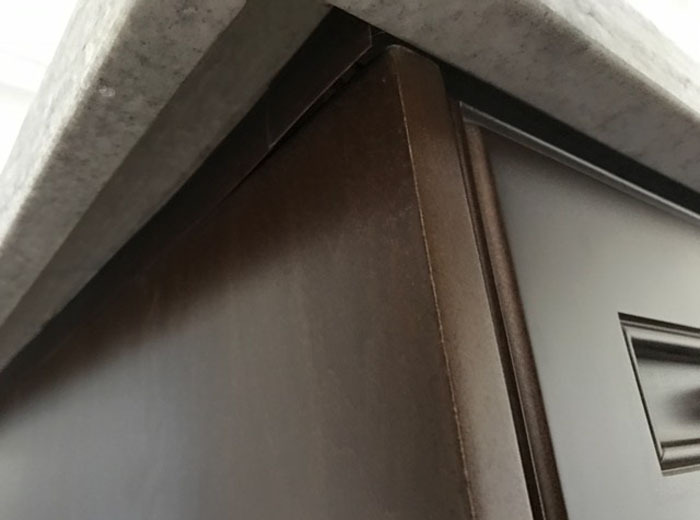 A kitchen island stained in dark chocolate colour frames the open kitchen creating a casual division between the kitchen and other areas within the parameter. 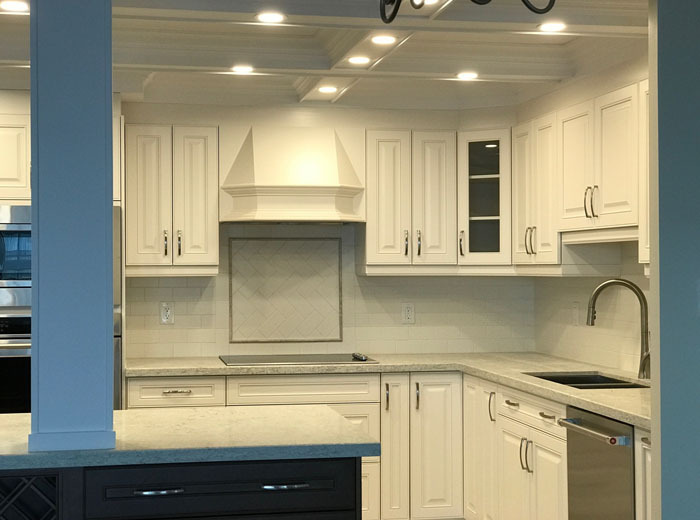 Enhancements like custom fan hood & paneled fridge along with designer hardware adds a unique take on a contemporary kitchen.